My Career 19/12/2017 by "Launch Recruitment Team"
This is the first in a 2 part series of 20 points on optimising your LinkedIn profile. Updated for 2017/2018. Click on each point for more details. 1. Check your visibility settings. 3. Upload a professional photo. 4. Use the new header image for profiles. 5. Write a keyword rich, professional headline. 6. Include keywords in your summary. 8. Use rich media and stand out. 10. Cultivate recommendations and endorsements. Privacy isn’t one of the things that you need to be protecting when using LinkedIn to find employment. Make sure your privacy settings allow everyone to be able to read and search your profile. Since LinkedIn is a social network, it is about sharing information about you. Keeping things private won’t help your chances of being found for that next big career break. How to set your LinkedIn privacy settings for maximum visibility gives you a clear rundown of the best ways to get the most out of your LinkedIn profile by making sure your privacy settings are configured so you can be easily discovered. Some privacy settings are more important to get right than others. Here are 5 LinkedIn Privacy Settings You Need to Know. Optimising your profile, member feed visibility, Twitter feed settings, profile views and understanding about authorising and removing applications are important factors in getting privacy settings right. Still wondering why you should be visible to everyone? Understand the LinkedIn privacy settings in a step by step tutorial. LinkedIn allows you to set a “vanity” or “custom” url for your public profile url. This is another great way to make sure you are found as this ensures your name and page are a lot more search engine friendly. Follow these steps to set your custom url. Try to keep it as close to your name as possible. Joe Hertvik describes how to create a custom url for your LinkedIn profile using a step by step walkthrough with screenshots. Ensure that you use a recent photo and that it reflects professionalism. Don’t include any photos from the pub, taken with a friend or with your pets. You want to look like a respectable future employee that will take the work and the job seriously. Paying a photographer for professional photos for your LInkedIn profile can be worth the investment. While this can be expensive, a good photo will probably last you a few years. Follow these profile photo tips to ensure you get the most out of your photo shoot if you choose to take this route. If you’re struggling to find the money or just don’t want to spend it on a professional photographer, this article on LinkedIn shows you 8 fixable photo flaws that you can avoid when creating your profile pic. RealMenRealStyle points out that your LinkedIn profile is often found at the top of the search engine results (due to the authority of the LinkedIn website itself) and so having a bad or unprofessional profile means you are able to be seen 24 hours a day, 7 days a week online. LinkedIn has recently updated its profile and cover image sizes. This excellent cheat sheet gives you the correct dimensions for 2017. LinkedIn now gives you the opportunity to upload a new header image for profiles. Make sure that your header is consistent with your personal brand. Social Media Examiner looks at ways to draw inspiration from other profile headers to ensure you have a stand out image. This article gives an excellent range of methods for choosing and optimising your header so that it gives you and your personal brand the best picture possible. It is worth considering how and why you want to present a particular image and the best way of achieving this. Hubspot share their excellent Slideshare post on 10 Ideas for a Better LinkedIn Banner Image. Check out the Hubspot article for some ideas for how to make this banner image space stand out and create the buzz you want it to. While most of these tips are for company pages, you can also get some great ideas for creating the best personal profile banner image for yourself. Hugh Briss presents tips for maximising the new responsive layout for the LinkedIn personal profile cover image and also offers a template to make it even easier for you to put one together quickly. According to Hugh, the the size LinkedIn suggests is 1400 x 425 pixels and a maximum file size of 4mb. The headline on your profile is top real estate, so optimise it! Load the headline with keywords for search engine optimisation For example, instead of “ job seeker” be specific and write: “Aspiring Public Relations and Social Media Professional”. It’s important to know what words are most effective to use in your headline. Laura Smith-Proulx lists the 5 Most Worthless Phrases in your LinkedIn Profile and why you need to pay attention to make sure you’re not wasting this most important part of your profile. You need to get it right to ensure you give the right impression to future employers and can be found easily by recruiters and headhunters.. The Firebrand Talent blog’s post How to Find Your Next Job Using Social Media discusses the importance of using social media properly when trying to find employment. It is important to understand the best way to communicate with prospective employers and strategies to “cut through the clutter” and stand out above the crowd. Writing a keyword rich, professional headline is the first step in standing out for recruiters and employers. Have you been wondering how you can get more people to view and find your LinkedIn profile? The Job-Hunt blog discusses the fact that a well optimised profile with highly searched keywords can massively increase the number of people viewing your profile. There are a number of places in your LInkedIn profile where you can add keywords. Your professional headline, job title, summary, projects and endorsements can all have relevant keywords and can help you to stand out to future employers and headhunters. Ok, so what keywords are the best to use in your job search efforts? Susan Joyce shows you how you can find the best keywords for you and your industry and the jobs you are wanting in the future. She suggests using indeed.com/jobtrends to determine the best keywords for you. 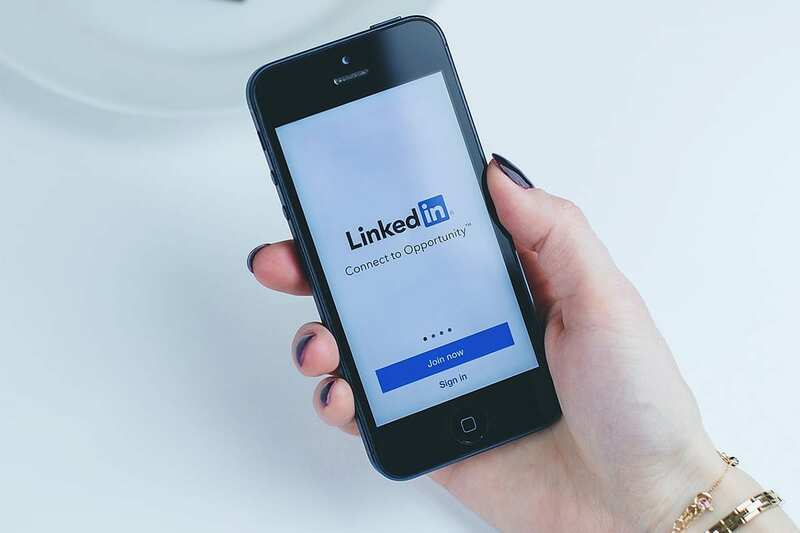 PayScale’s Leah Arnold-Smeets writes about her 6 favourite ways to keyword optimise your LinkedIn profile. One useful suggestion is to incorporate keywords into your “Interests” section. If you’re looking for a business related position, mention that one of your “interests” is to “read the Australian Financial Review” or “Harvard Business Review”. This way you get to sneak a few more keywords into your profile and show prospective employers that your career is something you take a wide interest in and are prepared to learn about, both on and off the job. If you want to be easily found and keep your LinkedIn profile fresh, make sure you publish blog posts regularly. This is one way to show future employers that you “know your stuff” and stay up to date in the industry. If you’re wanting to show your expertise and knowledge in a particular field, LinkedIn posts are one of the best ways to do this. Posts are searchable by keyword in both Google and LinkedIn and, like with Facebook, the more your post is shared, commented on and viewed, the more it will be shown to your networks and connections. As this post by Social Media Examiner shows, by having enough views, your post can get picked up by LinkedIn’s newsreader, Pulse. This can give your post an enormous boost and let you gain a lot more followers and traction. Neal Schaffer gives some great tips for writing your first blog post on the LinkedIn publishing network and in the included video he discusses best practice for placing images and video in posts. One of the original LinkedIn “Influencers”, Jeff Haden, was invited to publish posts on the network’s publishing platform, Pulse. Now that everyone has the opportunity to publish their own posts on LinkedIn, Jeff presents his ideas for best practice for writing and publishing a post for this network. One of the more important points from Jeff is to not make the mistake of using this platform purely for self promotion. It is vital to provide value and use the 80/20 rule where you provide 80% value and content compared to 20% of your own promotions. Jay goes on to give a list of tips for optimising your LinkedIn content for the publishing platform and search results. Marko Saric of HowtoMakeMyBlog.com gives a complete rundown of how he managed to get his post featured on LinkedIn’s publishing platform. According to Marko, the LinkedIn publishing platform allows you to “position yourself as an authority, build a following, boost your brand and expose your work to potential clients, future employers and key decision makers in your industry”. This is incredibly valuable and if done right, can massively improve your presence and standing on LinkedIn. One of the best ways to stand out from the crowd on LinkedIn is to use rich media. This can include videos, slideshares, power point presentations and podcasts. Lewis Howes shows how to use video to get noticed on LinkedIn. Once you have that video created and you’re ready to add it to your profile, you’ll want to know how to embed the video into your LinkedIn profile. If you would like to do more than add a video and would like to consider all of the possibilities for adding rich media to your linkedIn profile, Kristin Burnham from Cio.com gives a great rundown of the many ways you can improve your profile so it really stands out. Creating and adding a Slideshare presentation to embed on your Linkedin Profile is another way to add rich media that is highly searchable. The “LinkedIn Professional Portfolio” brings your LinkedIn profile to life and it allows you to showcase who you are and what you can do in stunning, rich multimedia. Make the most of this great feature and method to really demonstrate why you are the perfect candidate for that dream job. Udo Milo provides a slideshow demonstrating how you can visually enhance your profile and message. If you prefer to watch a video to find out how to reorder your skills on LinkedIn, this video by Shelley Roth shows you how to do this. If you want to know how to reorder more than just your skills in your LinkedIn profile, this LinkedIn Makeover article gives tips for how to rearrange your profile sections, experiences and recommendations. Skill endorsements are one of the best ways to stand out on LinkedIn and give prospective employers an idea of your talents. By giving colleagues, or employers, a recommendation, they will be alerted to your endorsement and may consider providing one for you. Wondering how to get more endorsements? Michael Delgado offers 5 Ways to Get More LinkedIn Endorsements. If you find that people are endorsing you for the wrong skills, Social Media Examiner discusses ways to manage your LinkedIn endorsements and suggests methods to guide people into giving you the endorsements that you need. Give yourself the best chance of gaining top recommendations that are relevant and from highly recognised people by reading this article by Mir Haynes. Mir gives tips on how to decide who to ask and how to ask them to give you a recommendation.